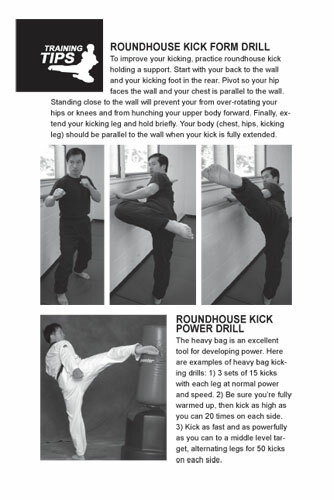 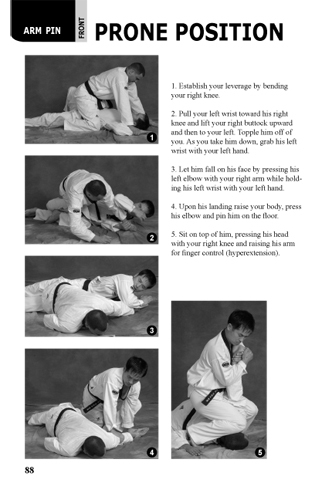 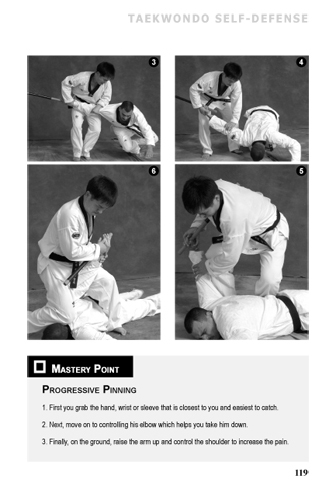 In Taekwondo Self-defense: Taekwondo Hoshinsool, Sang H. Kim adapts traditional Taekwondo skills for the modern day Taekwondo classroom. 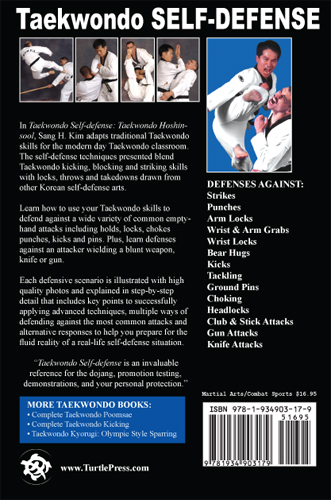 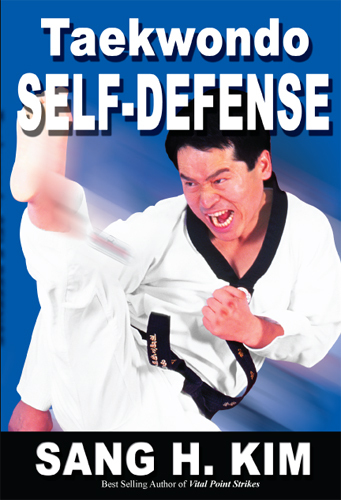 The self-defense techniques presented blend Taekwondo kicking, blocking and striking skills with locks, throws and takedowns drawn from other Korean self-defense arts. 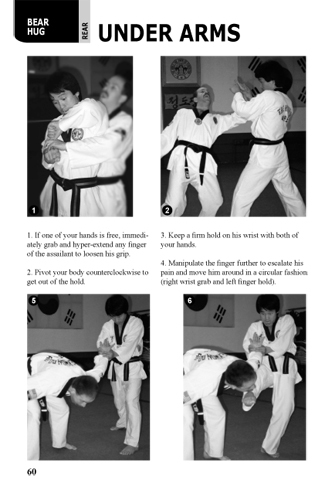 Learn how to use your Taekwondo skills to defend against a wide variety of common empty hand attacks including holds, locks, chokes punches, kicks and pins. 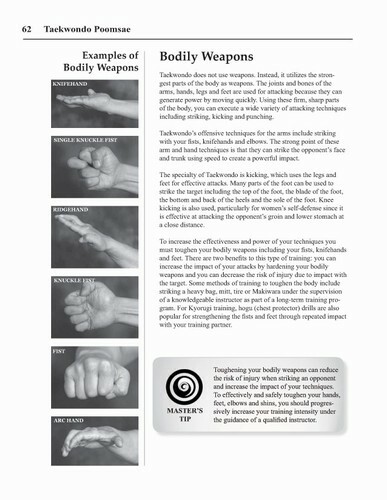 Plus, learn defenses against an attacker wielding a blunt weapon, knife or gun. 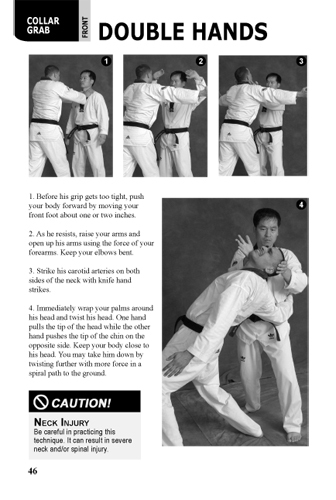 Each defensive scenario is illustrated with high quality photos and explained in step-by-step detail that includes key points to successfully applying advanced techniques, multiple ways of defending against the most common attacks and alternative responses to help you prepare for the fluid reality of a real-life self-defense situation. 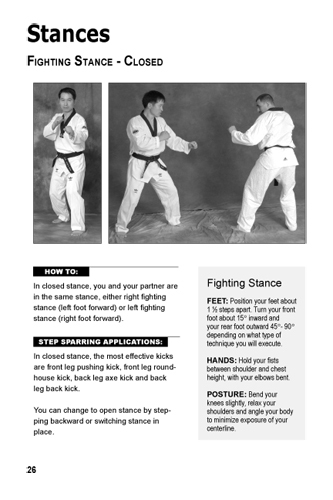 Step sparring is a traditional form of drill training used by Taekwondo students to practice and perfect stances, blocks, strikes and kicks with a partner. 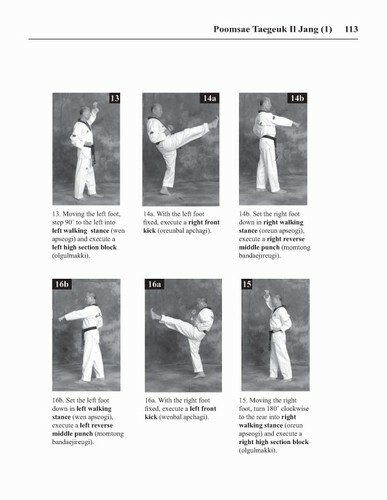 In Taekwondo Step Sparring, Sang H. Kim progressively teaches you nearly 70 step sparring techniques, from beginner to black belt. 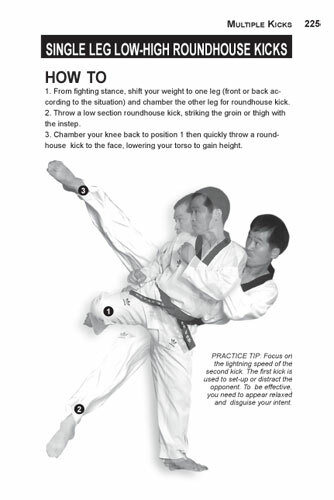 The step sparring techniques in Taekwondo Step Sparring incorporate dozens of strikes, blocks, stances, kicks and footwork in sparring and self-defense style partner applications. 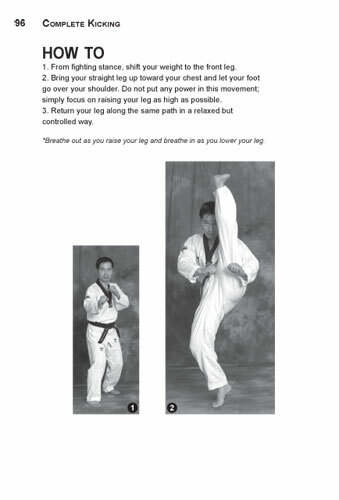 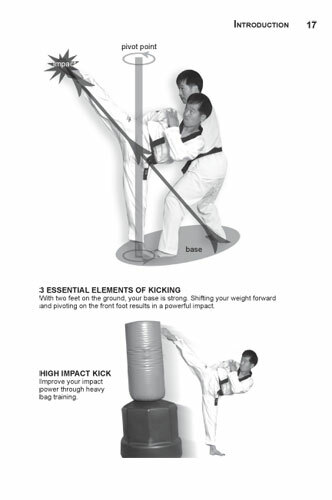 In addition to detailed instruction, Sang H. Kim shares training tips and mastery points to help you take your fundamental Taekwondo skills to their highest level. 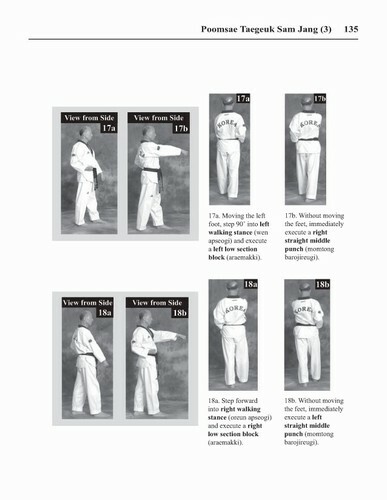 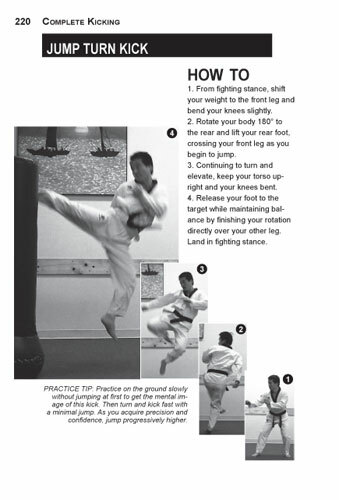 Each step sparring sequence is illustrated with clear photos including reverse views, close-ups and transition photos so you can perfect each skill. 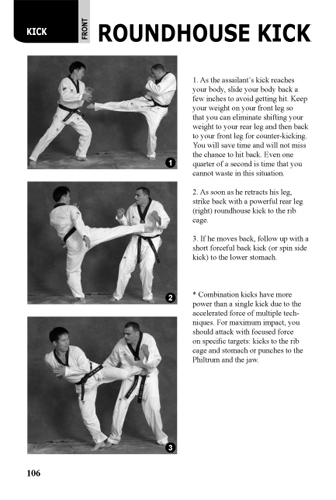 You’ll also learn how to adapt blocks, strikes and kicks for step sparring applications and how to create your own step sparring techniques. 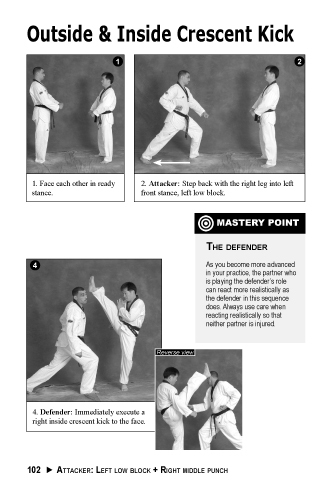 This is a comprehensive introduction to step sparring for Taekwondo students of all skill levels. 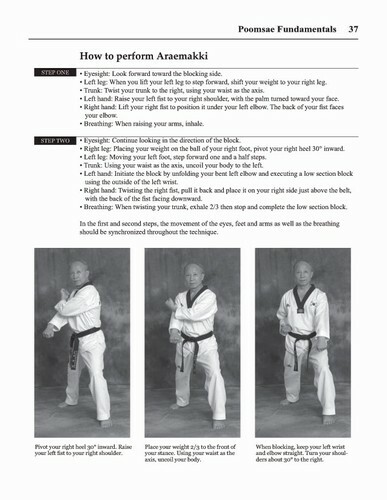 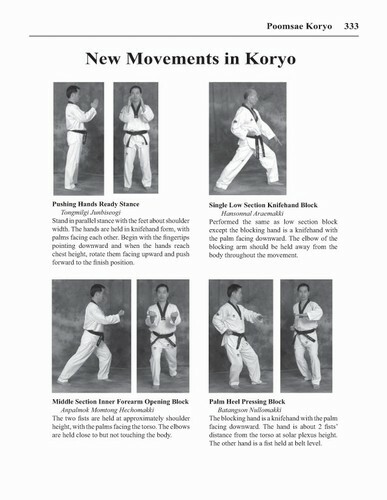 Taekwondo Kyorugi: Olympic Style Sparring is classic how-to text on taekwondo sparring. 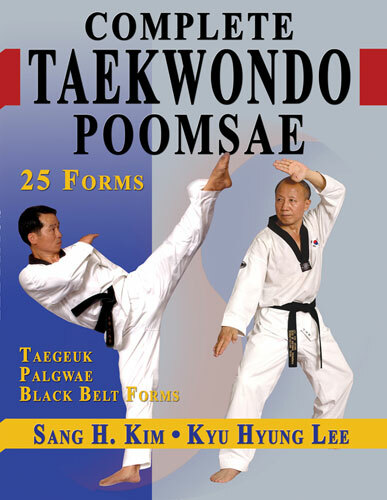 Written by Korean Olympic Gold Medalist Kuk Hyun Chung, former WTF Deputy-Secretary General Kyung Myung Lee and Renowned Martial Arts Author Sang H. Kim, it is a direct translation of the original Korean text.